30th November 2014 – There was double success for PACE athletes at the Cross Internacional de la Constitucion race in Alcobendas, Spain. 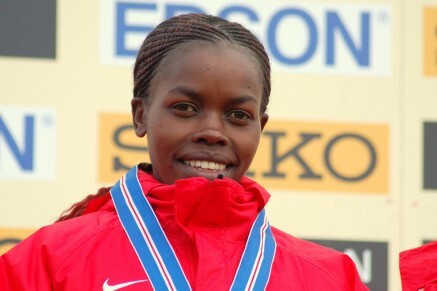 Doris Changeywo (KEN) took her first victory this year in the womens race and Timothy Toroitich (UGA) continued his fine recent form to also claim the win in the mens event. Doris bided her time with the lead group before pushing on over the final lap to take a commanding lead that saw her victorious by 20 seconds. Timothy was even more emphatic, always to the fore and running away from the field to win by 24 seconds. It was also pleasing to see Emmanuel Bett (KEN) finishing the third of three recent races in Spain in second position, and now fully over a recent knee injury he will only continue to improve. At the British European Cross-Country trials in Liverpool both Stephanie Twell (GBR) and Tom Lancashire (GBR) put in strong performances that should see them selected for the championships in Bulgaria in two weeks . Steph ran aggressively and pushed for the win before eventually finishing 7th. Tom showed that he is wintering well in a very competitive race taking 5th place just 12 seconds behind the winner.